Another week, another Mueller indictment and an even more crowded Democratic primary field. 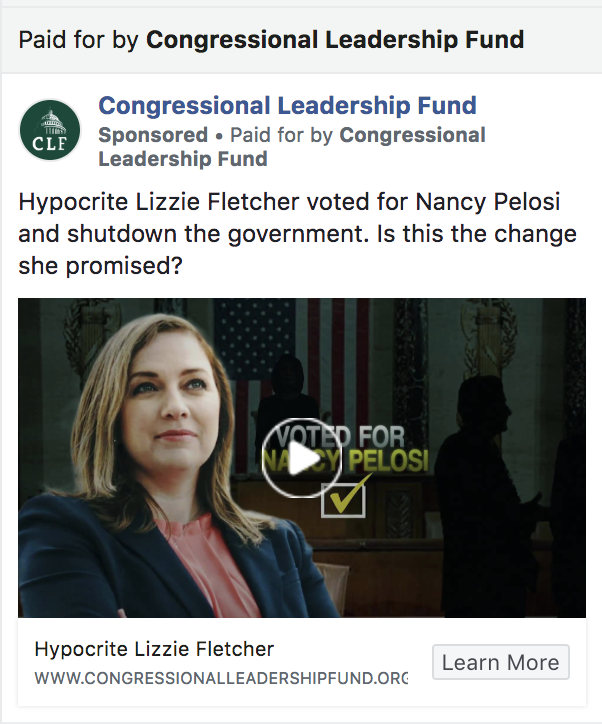 This week, we found a trend in how 2020 Democratic candidates are using digital ads to build grassroots support with the primary electorate, and how Republicans are going back to their old tricks. 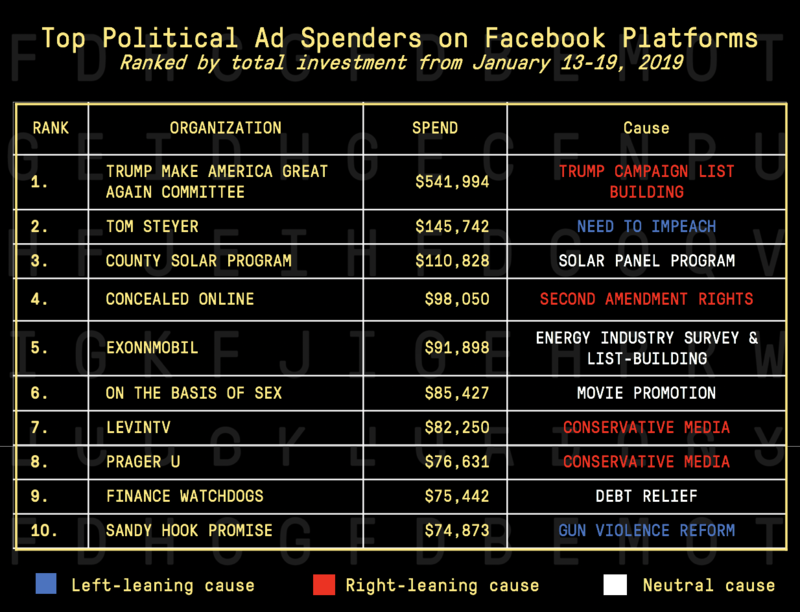 On a fun note, many of you were intrigued by our find last week that Gavin Newsom was running hundreds of Facebook ads to build and maintain his list in key swing states across the country. 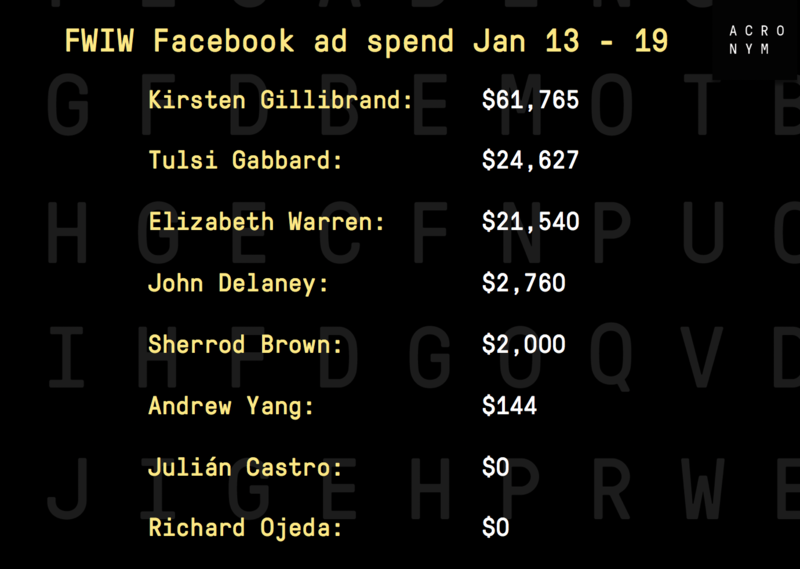 During the week of Jan 13 – 19, he spent $23,439 on those ads – that’s more than Elizabeth Warren spent on Facebook during the same time period, and nearly 15% of what Newsom’s campaign spent on Facebook during the entire 2018 cycle ?. 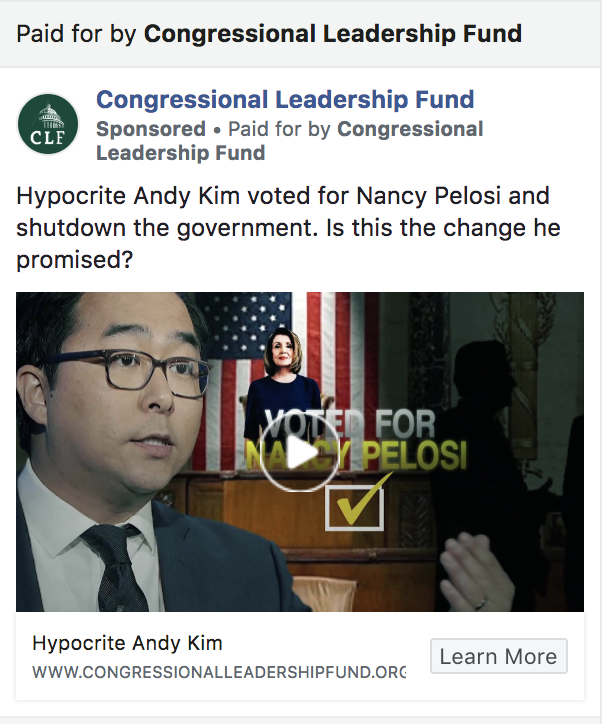 As we looked through the Facebook ad archive this week, we noticed a trend among Democratic presidential contenders – many of them are running ads specifically calling out the fact that they won’t take money from corporate PACs, or that America needs to make the economy work more for the middle class. 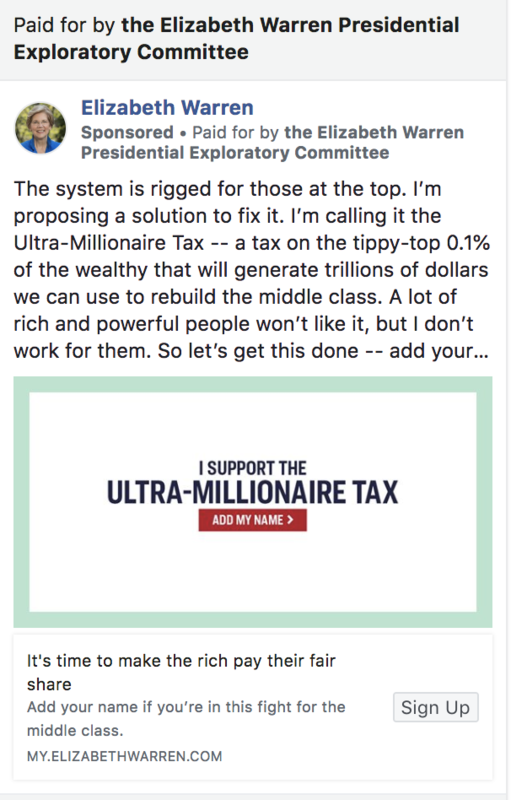 And even though Bernie Sanders isn’t yet in the race, he has been running ads pushing a similar message to build his list and fundraise in advance of a potential run. This theme is likely gaining traction for a few reasons. 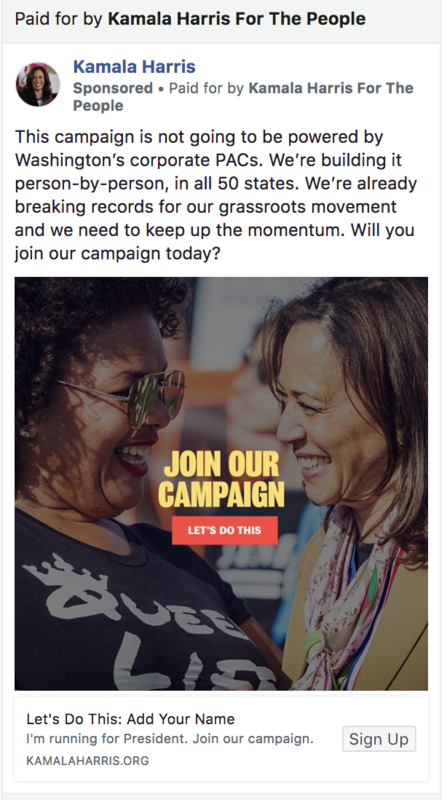 First, it clearly lets people know a candidate is running a people-powered campaign so they need the people to fund it – a common and effective fundraising strategy. 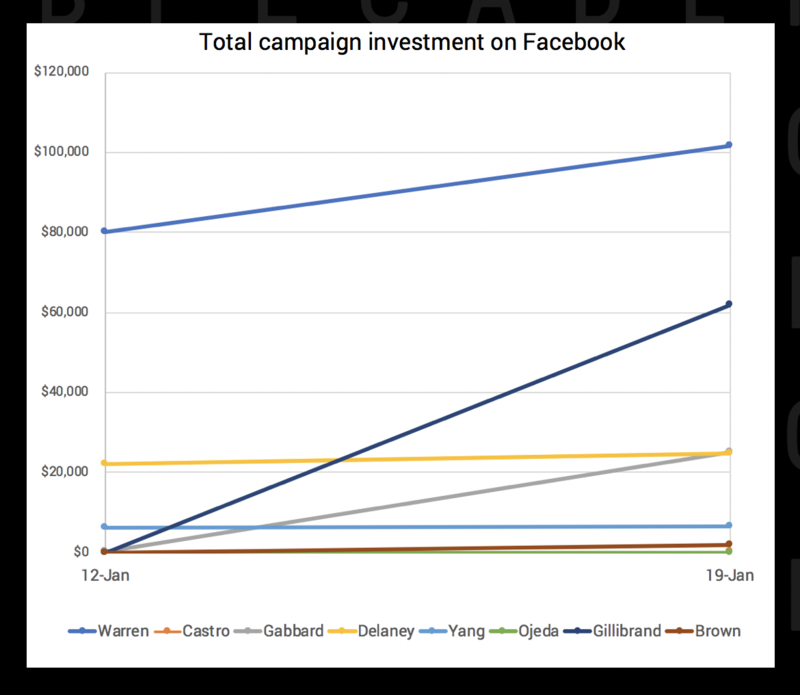 Second, the Democratic Party announced candidates will need to meet a to-be-determined grassroots donor threshold to make it onto the primary debate stage later this year so candidates are incentivized to bring in more small-dollar donors online. 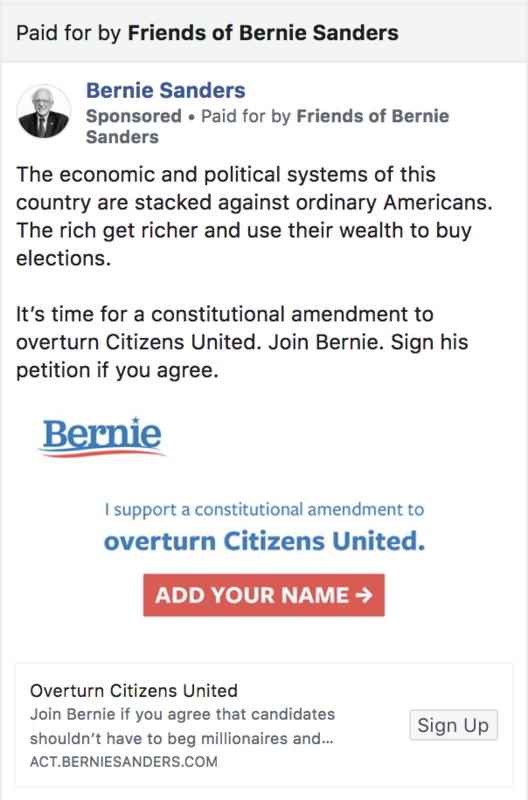 Last, the anti-corporation, anti-PAC message as a central theme of early contenders indicates the growing influence populist messaging has had on both sides of our politics beginning with Bernie Sanders’ campaign in 2015. Republicans have only been out of power in the House for less than a month, but they’re already starting their bid to win back the House – and they’re back to their old playbook of making Nancy Pelosi their villain. Trump’s schedule has been looking a little thin lately, and we may have figured out why. 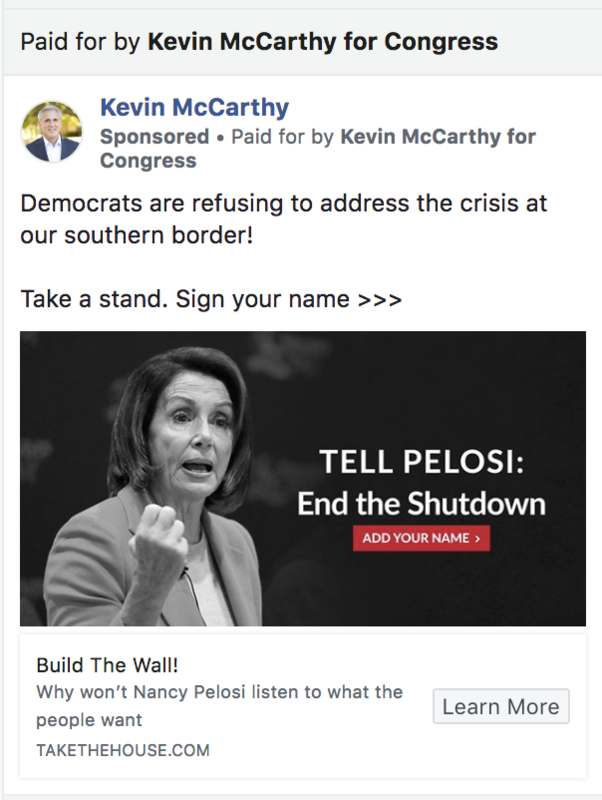 According to his Facebook ads, he’s going through every single response to his campaign’s “secure the border” survey. Will he keep his promise ¯\_(ツ)_/¯¯? We’re not holding our breath. But we do wonder if that strategy works in getting people to engage with the ads. That’s all for this week. Thanks for reading and make sure to follow us on Twitter for updates throughout the week and email us with ideas of what you’d like us to dive into next. P.S. Here’s a sign-up link you can share with friends and colleagues and you can find today’s issue here.